The digital satellite finder is microprocessor controlled, making it very reliable and accurate. Signal strength is presented graphically on the LCD-display in form of thermometer-scales and in numbers (0~99). It can also present pitch tones (the higher tone the better signal) on a buzzer. The digital satellite finder is very sensitive and can detect the weakest of signals, strong incoming signals (powerful satellite, big dishes) can easily be attenuated for better readout. 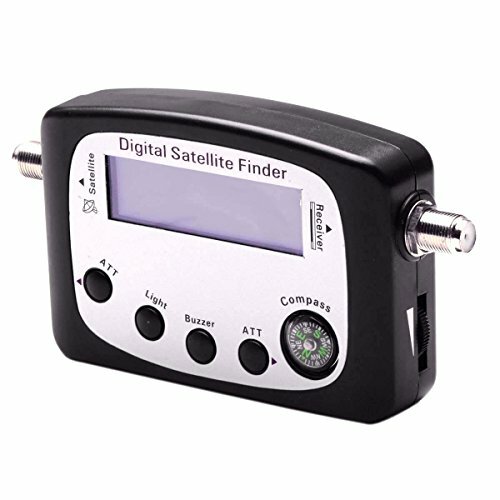 The digital satellite finder is very sensitive and can detect the weakest of signals, strong incoming signals (powerful satellite, big dishes) can easily be attenuated for better readout. If you have any questions about this product by jrelecs, contact us by completing and submitting the form below. If you are looking for a specif part number, please include it with your message.